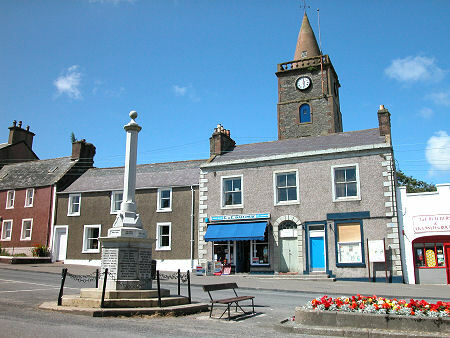 The village of Whithorn lies at the heart of the southern end of The Machars, the broad peninsula projecting south into the Irish Sea. 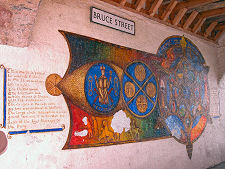 The village is famous as the cradle of Christianity in Scotland, and can stake a credible claim to be amongst Scotland's oldest continuously occupied settlements. Today's visitor finds a village built around a long and broad main street descending a gentle hillside from south to north. 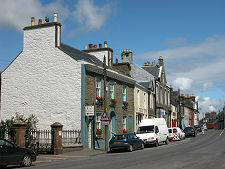 This is variously called George Street and St John Street as it progresses through Whithorn. 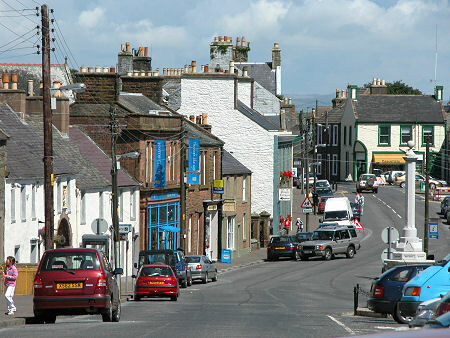 The main street is lined by largely two storey buildings. The most striking landmark is the Steeple, part of the Town House, overlooking a monument that acts as a combined war memorial and mercat cross. 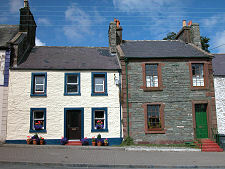 A little north of the Town House is one of the most attractive buildings in the village. This is the Pend, a white harled building containing a semicircular arch. 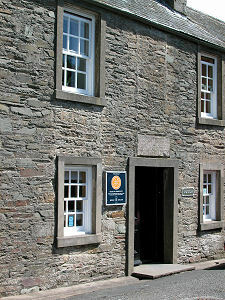 A few doors further along is the Whithorn Story Visitor Centre and Discovery Centre. 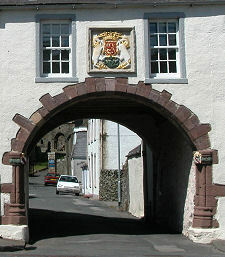 Pass through the arch of the Pend and you start to get to grips with Whithorn's remarkable history. Directly ahead, at the end of a short lane, is the path leading up to the Parish Church of St Ninian, built in 1822. But the path to the church leads past the end of a large stone rectangular building that is today the most obvious fragment of Whithorn Priory. This can be freely explored by all. 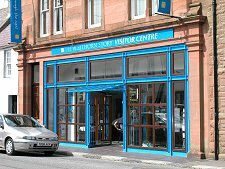 Other parts of the priory are reached via the Visitor Centre and Museum situated on the right just before you reach the churchyard gates. Off to the left of the lane linking the Pend and churchyard is the Whithorn Dig, the site of archeological investigations over many years into the early history of Whithorn. That history dates back at least as far as AD140, when a settlement was shown roughly here on a map drawn by Ptolemy. The Novantae tribe who occupied the area at the time had close trading links with the Romans, in effect forming an outpost of empire north of Hadrian's Wall. 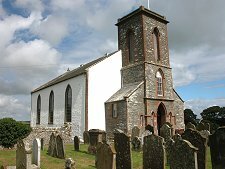 Some time in the AD390s, St Ninian arrived here after studying in Rome and built the first Christian church in Scotland. This was later referred to as Candida Casa or "White House", thought by many to suggest it was made of stone. Excavations in the 1800s of the earliest building found on the site, outside the east end of the crypt, show it was built of stone with an external dressing of light coloured plaster. The name given to the church was more enduring than the structure it applied to. Candida Casa translated into Anglo-Saxon as Hvitaern, which over time became the Whithorn we know today. 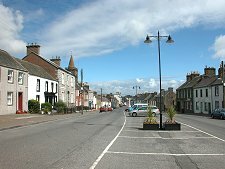 In the 1100s a large cathedral and priory were built here and Whithorn prospered through trade and through the steady stream of pilgrims. 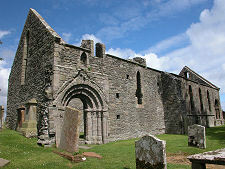 The Reformation in 1560 led to the gradual decline of Whithorn Priory. 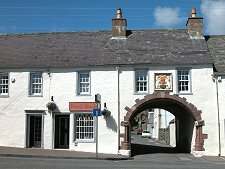 More telling for Whithorn was the ban on pilgrimage that followed in 1581, which removed an important part of the village's economy. Most of the cathedral and priory has since disappeared, leaving just the nave and the crypt.